Danielle Richter: The Coldest Place on Earth with the Best People on Earth. Being from Texas, I have a different definition of the word “cold” and “winter.” I thought living in Ashland, Oregon, working for Oregon Shakespeare Festival, I’d experienced cold weather. Ashland is nothing compared to Milwaukee… In my first week working at Milwaukee Repertory Theater I feel like I’ve experienced it all weather wise. My first day it was 40 degrees and pouring rain, and the next day it was 45 and sunny. It’s been down in the 20s and snowing, and then there is the wind coming off the lake that will make any day feel like it’s 20 degrees colder than it really is. 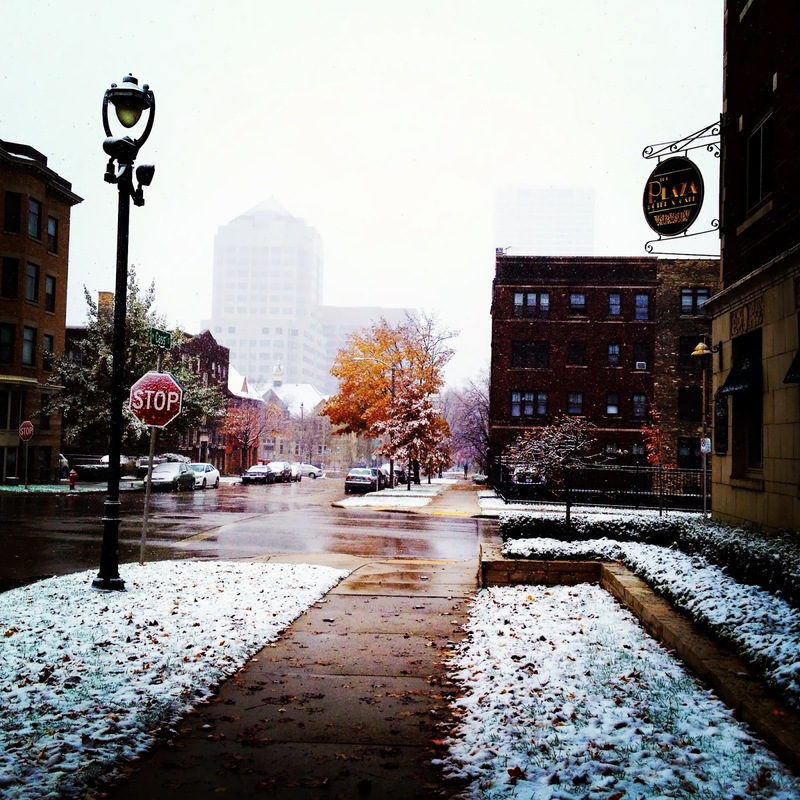 Needless to say, it’s been an a adventure every time I walk out the door to walk to work. 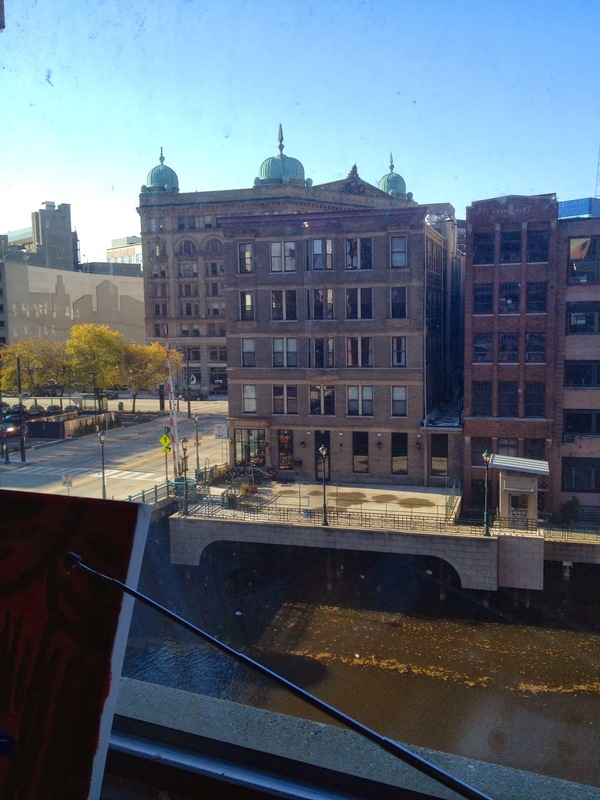 All crazy weather stuff aside, I’m having a really awesome and positive experience working at Milwaukee Rep in the wig room. 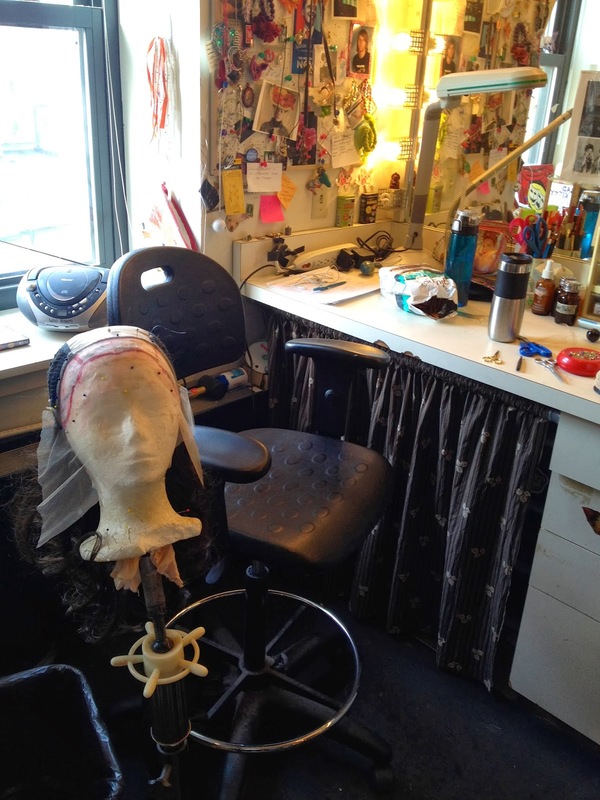 Milwaukee’s wig room is completely different than the one at OSF. First off, they only have one wig person to OSF's eight. Lara, their wig master, does everything herself (with the occasional help from costume interns or, on the off chance they have it in their budget, an over-hire wig person). That woman is a superstar. I love being somewhere where I feel like I’m really helping. It was my goal to get more experience building and ventilating wigs during this exchange. So far that’s all I’ve been doing since I’ve gotten here, (which is awesome.) I’ve been working on wigs for Noises Off and soon I’ll move on to Christmas Carol. I already feel like I’m getting faster at tying those tiny knots of hair. It’s also been nice to exchange information about the different styles of wig building I know of, and the ones that Lara uses in her shop. 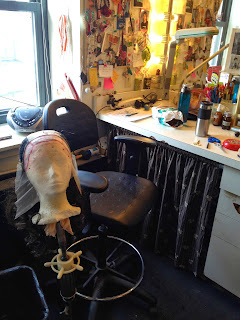 Second big difference is that their wardrobe people double as wig run crew, compared to OSF who has wig staff members assigned to every show. I really admire all these people who work in so many different areas within the theater. I have to say I really love the people I’m working with here at Milwaukee Rep. Everyone in the costume shop is so nice, and I love working with the Lara. I’ve meet a lot of the interns who, like me, are new to the company. They invited me out bowling last Monday, which was a lot of fun. Something I love about theater in general, is how small of a business it is. It seems like every person I’ve meet here at the Rep knows at least three of the people I work with at OSF. I hope to meet even more of the company in my next 5 weeks. I’ve had one adventure exploring the city last weekend (since the weather was nice enough to go out in). 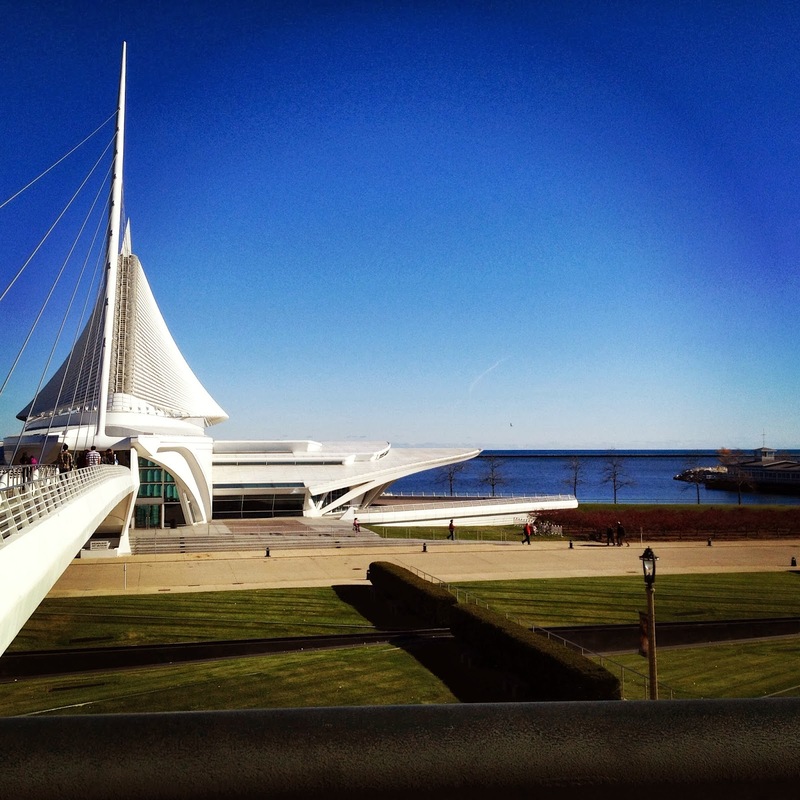 I spent most of my day at the Milwaukee Art Museum, which is an amazing building. The building was designed to look like a sail boat, and has “wings” that open in the morning and close at night. It was quite the thing to look at. On the inside of the building, there are these giant glass walls that overlook the lake. It was so beautiful outside that day, you could see for miles. I sat for a pretty long time just looking out at the water. My favorite artwork in the museum was defiantly an exhibition they had of Thomas Sully’s art called Painted Performance. They were beautiful, and most were what they called “subject pictures” that centered around theater, literature, and fairy tales. There were about 80 altogether. My favorite was one called “Little Nell Asleep in the Curiosity Shop”, which was oil on canvas painted in 1841. I’m so glad I had a chance to visit this museum, and I’m so happy to be spending time in Milwaukee at the Rep despite the cold. This is the view from the window in the wig room.